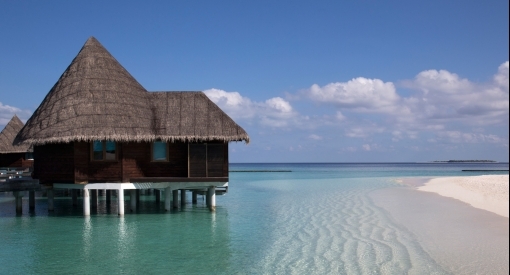 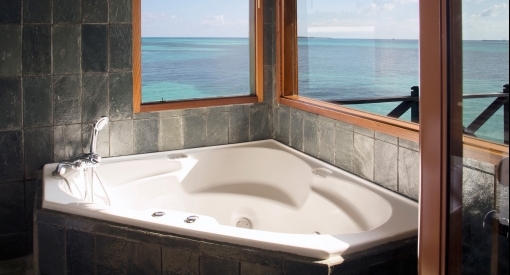 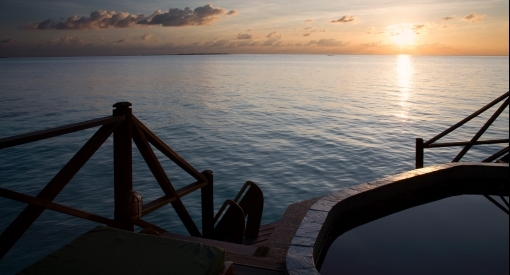 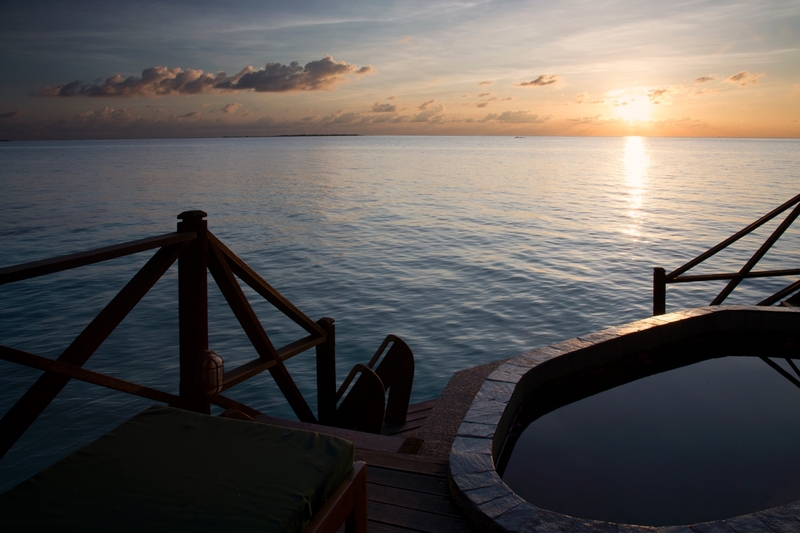 When you stay in one of our Maldives Lagoon Villas, crystalline water is both your scene and your sanctuary. 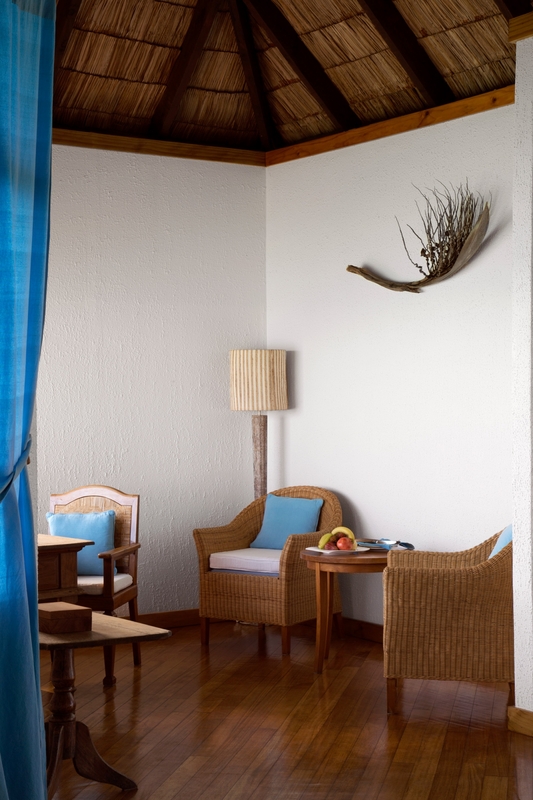 One of Coco Palm Dhuni Kolhu’s signatures is the coconut palm leaf shaped extension of the island’s North-Western tip. 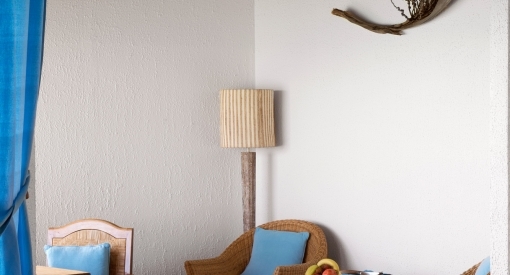 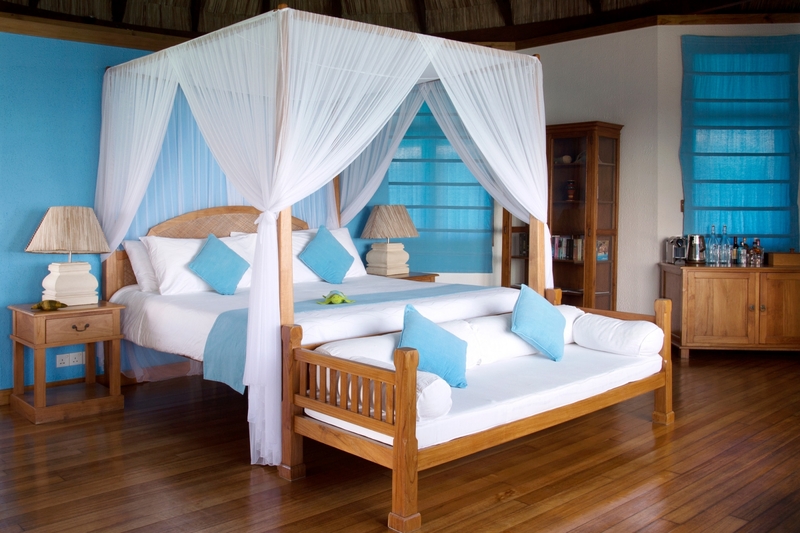 This original design was born from Coco Collection’s vision that every villa should have privacy. 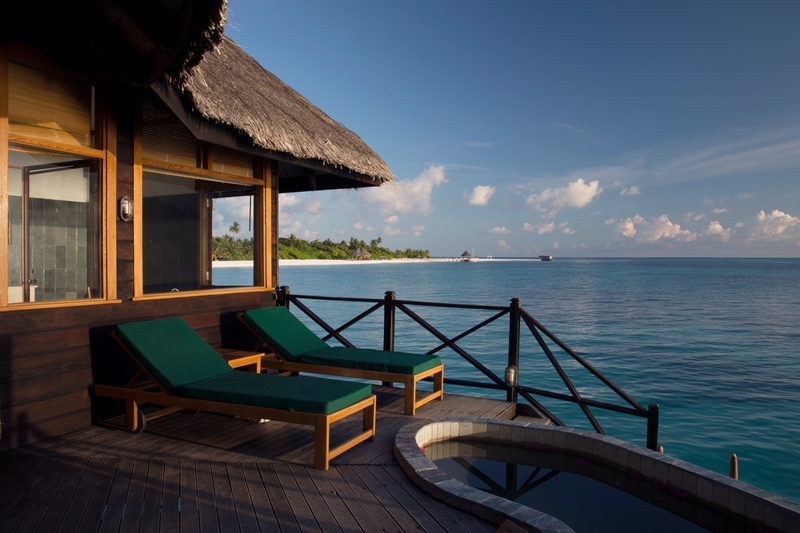 When seen from the seaplane along with the island’s lush tropical treescape, it becomes clear how our resort earnt its name. 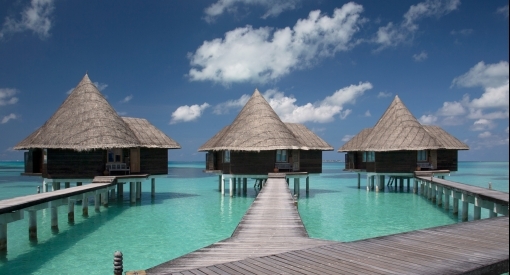 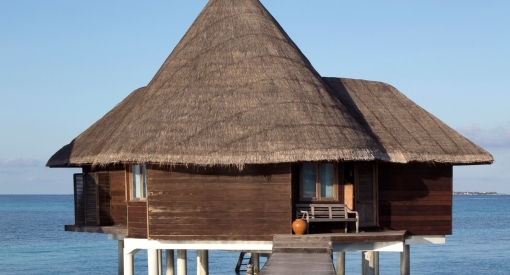 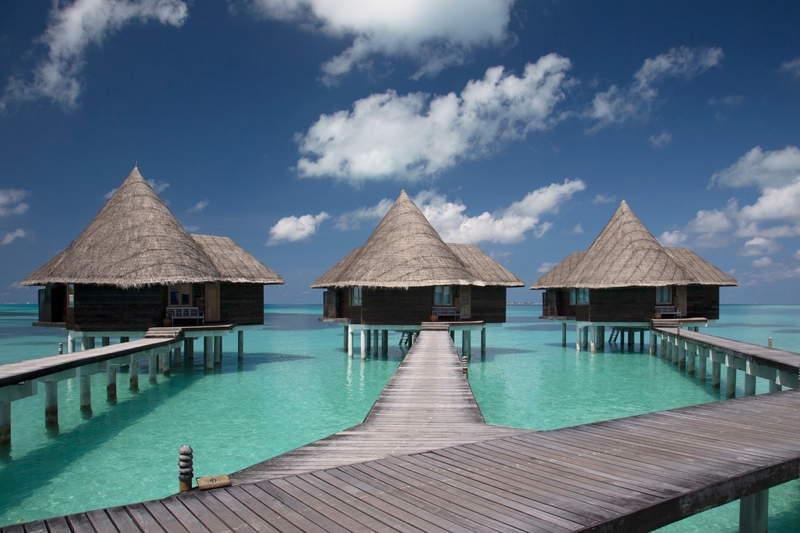 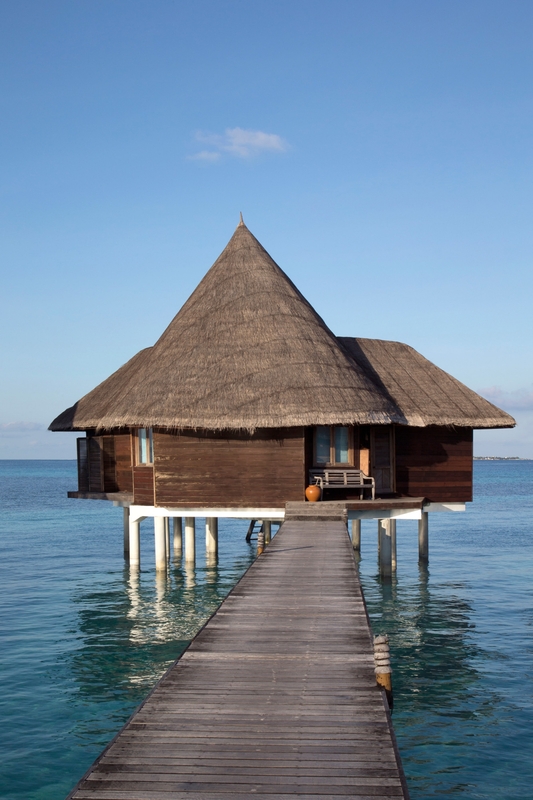 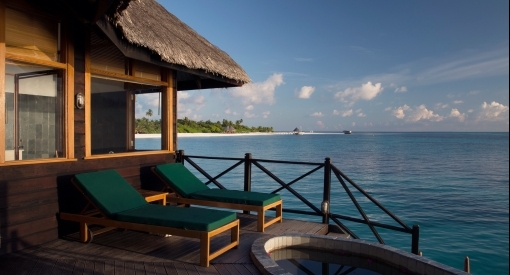 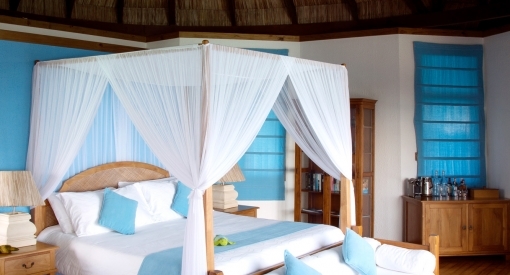 It is on this exclusive wing that our twelve 87 square metre Maldives Lagoon Villas are found. 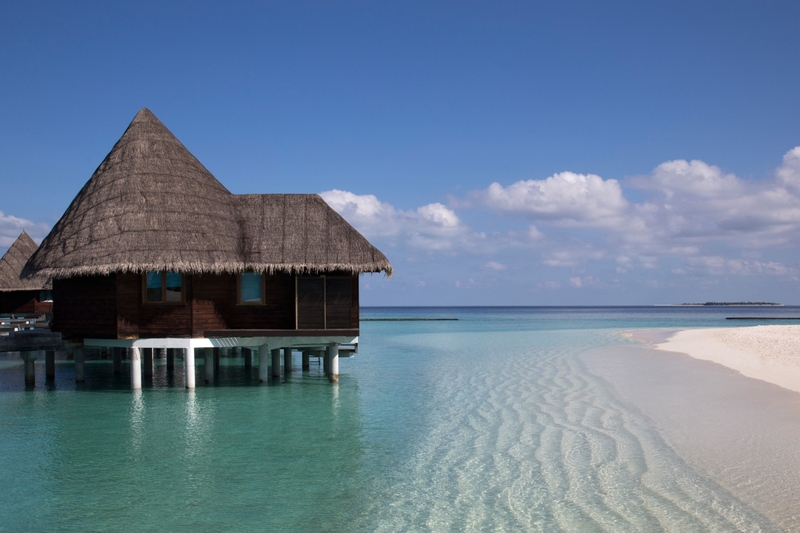 These lagoon villas are perched over water, just a wooden walkway away from the beach and positioned to offer each villa privacy and uninterrupted panoramic views. 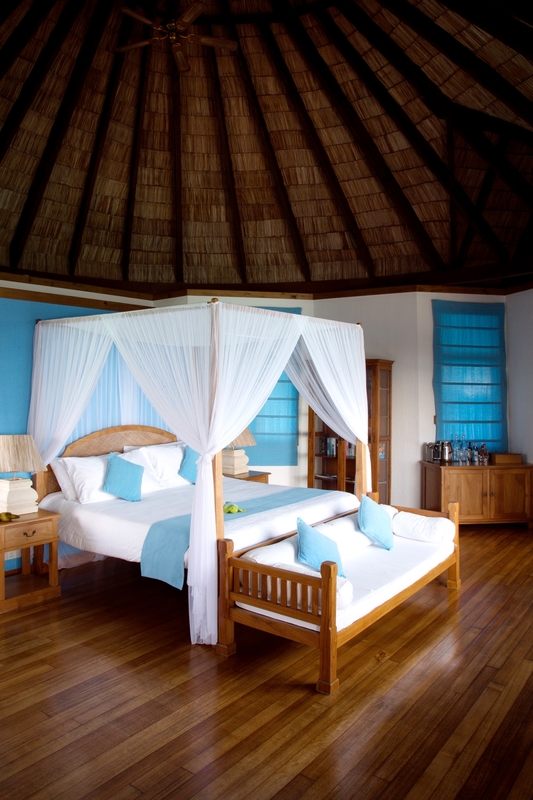 Inside, a four-poster king-sized bed, wooden floors, a luxury Jacuzzi bathroom and authentic Maldivian furniture and artwork create a relaxed feel. 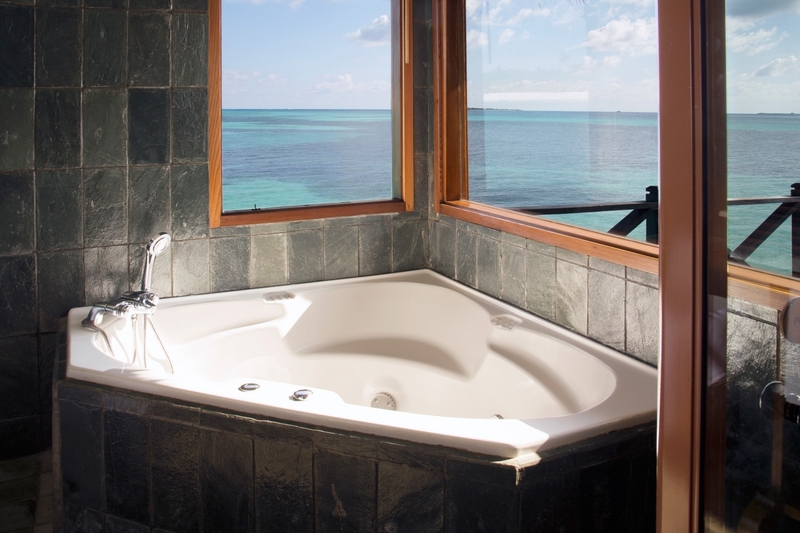 Outside, generous sundecks host lounge areas and your own sunken fresh-water plunge pool.